"In a nation where many public officials are charged with, or suspected, of plunder, her honesty shines like a light in the darkness," an excerpt from her Senate biography. 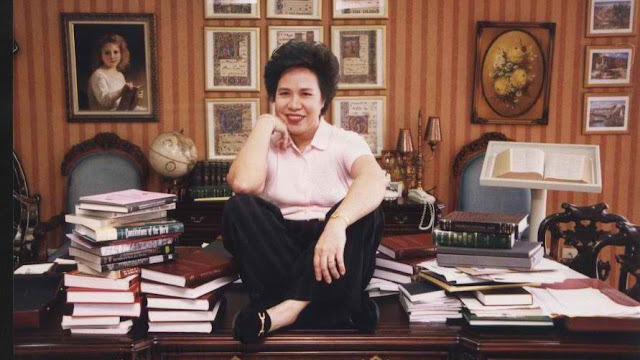 Former senator Miriam Defensor Santiago has died at the age of 71, her husband Atty. Jun Santiago announced on Thursday at around 11am. "She died peacefully in her sleep this morning," Atty. Santiago said in one Twitter post. The former senator has been in confinement at St. Luke's Medical Center for the last several weeks. In 2014, Miriam Defensor Santiago announced to the public that she has stage 4 lung cancer. Touted as the 'Iron Lady of Asia," Santiago was born in Iloilo City on June 15, 1945. Santiago was well-known for her stern drive against graft and corruption in the government. Santiago also served in the three branches of the government namely executive, judicial and legislative.